After a thirteen-year hiatus, Bella returns home to discover her aunt Lily high-strung and unpredictable, her dad a recovering alcoholic, and her inheritance in ruins. 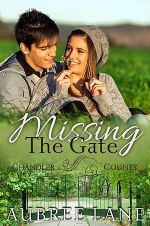 When Bella learns her uncle vanished the same day she and her mother fled from her fathers abuse, she enlists her new love, Eli, to help her uncover the many mysteries of Able Manor. Its generally assumed that Uncle Gordon is dead, but his body was never found. Could there be a connection between his disappearance and his wifes erratic behavior Whos the stranger lurking around the property, and what precipitated the downfall of the once esteemed horse ranch Corruption and intrigue plague the small town of Bourbonville. Bellas prosperous father wants her back in his life. She sees him as a way to bring her ranch back to its former glory, but the price of trusting him may cost Bella her life.